Sgt. 1st Class Christopher J. Speer was born in Denver, Colo., on September 9, 1973 and enlisted in the U.S. Army on July 8, 1992. After completing basic combat training, he graduated from the Medical Specialist course and was assigned to the U.S. Army Hospital at Carlisle Barracks, Penn. In November 1994, Speer volunteered and was selected for Special Forces training. He completed his Special Forces training in early 1997 as a Special Forces Medical Sergeant (18D) and was assigned to 3rd Special Forces Group (Airborne) at Fort Bragg, N.C., in May of the same year. He remained in 3rd Group for several years until his assignment to the U.S. Army Special Operations Command. Speer deployed to Afghanistan this spring to augment special operations forces in the country. He was one of five soldiers wounded July 27. Speer’s awards and decorations include the Soldiers Medal, the Bronze Star Medal for valor, the Purple Heart, the Defense Meritorious Service Medal, the Meritorious Service Medal, the Army Commendation Medal and two Army Achievement Medals. Speer was authorized to wear the Combat Medical Badge, Military Freefall Jumpmaster Badge, Scuba and Air Assault Badges and the Special Forces Tab. His wife, Tabitha; daughter, Taryn; son, Tanner; and mother, Betty, survive him. NOTE FOR MEDIA: The family of Sgt. 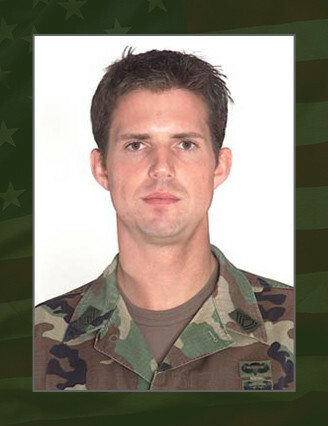 1st Class Christopher Speer thanks everyone for their prayers and respectfully asks that all requests for information on Christopher be channeled through the USASOC Public Affairs Office. At this time, members of the family do not plan to grant any media interviews.